Following the teardown of the iPhone XS and iPhone XS Max, iFixit has taken the liberty to open up the Apple Watch Series 4 44mm with LTE. 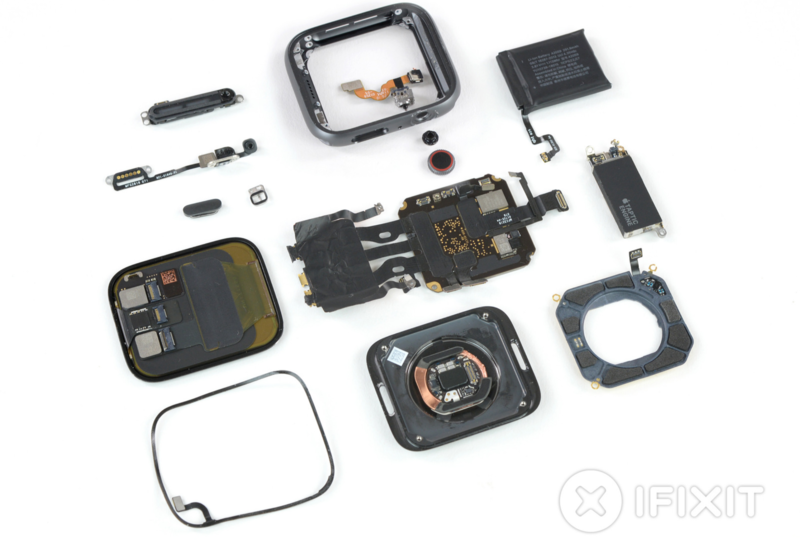 According to the new teardown from iFixit, Apple didn’t just squeeze new health-related sensors like an ECG monitor and a bigger battery inside the Apple Watch Series 4, it also made the whole interior more refined. While it may look the same as the Series 3 at first glance, cracking it open reveals far more consideration to the watch’s construction. Inside the watch, there are a few notable findings. First up is a slimmed down Low-Temperature Polycrystalline Oxide (LTPO) OLED display, which is estimated to consume 5 to 15 percent less power than before and enable other components to occupy more space. The Series 4‘s battery is up 4-percent in capacity over the Series 3 — 1.113 Wh, versus 1.07 Wh. That’s despite the casing being 6-percent thinner. The Taptic Engine — the mechanism by which the Apple Watch gives its physical sensations to the wearer’s wrist and fingers — is slimmer but has grown longer. Considering it’s crucial to the new “clicking” sensation of the Digital Crown, this extension makes sense. Additionally, the barometric sensor appears to borrow the speaker grille, rather than requiring its own hole. 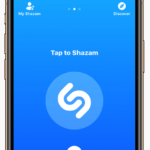 Apple has also shifted the microphone to a new position between the Digital Crown and the side button, adding distance between it and the speaker on the opposite edge, and thus improving audio quality during voice calls. Finally, the Apple Watch Series 4 features a screw-removable S4 system-on-chip, which is easier to remove than previously glued-in processors. As a repair shop, iFixit tends to focus on whether the new devices are easy or hard to fix, and though it generally praised some repairability improvements, it ultimately rated the new device a 6 out of 10 on its repairability scale — with 10 the easiest possible repair level.